Oh, great. Here’s the promotion part. Stay with me here- There’s still more information that can help you for free! Selz is an online website hosting platform designed specifically to assist in helping your business. You can use your own already made website, or start one of your own on Selz.com. You do have to pay for Selz monthly, if you choose a higher level, but here is the best part- they have a whole separate website full of free business information for your online store! This section is called Founder U, at founderu.selz.com, and is a separate website that is dedicated to articles and eBooks that can help your business. Read on to see what Founder U and Selz can do to majorly improve your online store. Alright, let’s start with the free stuff. 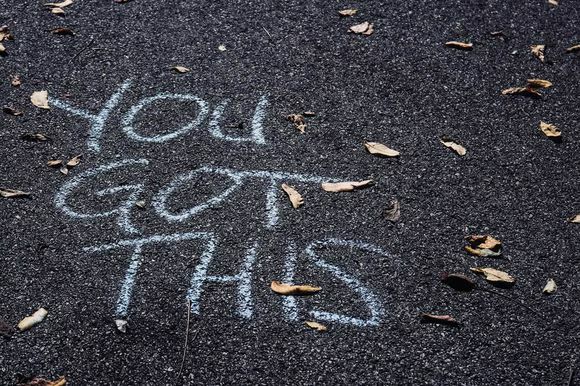 Founder U has a whole slew of articles on all things online business. Information about how to increase audiences to your blog to how to install buy buttons to how to use social media are just a few examples of the numerous topics Founder U goes into detail on. This is one of the best websites to visit to get your online business started, to spruce up a slow online store, and to continually rock at gaining a profit. In fact, this Definitive Guide to Discounts and Coupons is on Founder U, and is the first in a long line of definitive guides that can aid you in selling online. Founder U’ s writers have real experience and up to date, in-depth knowledge of the online selling world, and reading a few articles can really expand your knowledge of marketing online. Check back every week to see the continuing Definitive Guides, the extended article series and the specific how-to sell guides. The Selz web host platform can also help your business. You don’t have to start your website all over to use Selz, it is compatible with WordPress, Wix, and tons of other store hosting websites. A basic plan is free and it comes with a wide range of benefits! 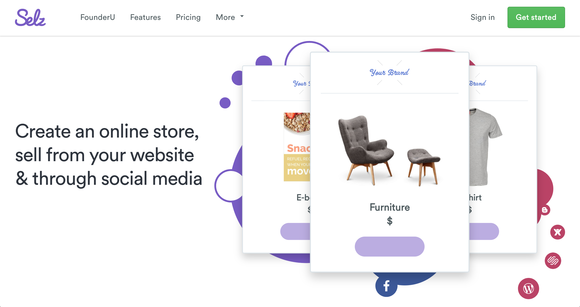 A free store page shows off what you are selling and is easy to connect with any social media or other websites you might be using. Additional purchases can be made to create one stop shopping with buttons or widgets which means customers have a smooth, easy way to buy directly from your shop. Selz also operates customer management, global tax settings, and fraud protection for your online store in a secure, professional manner. All of that is included for free in the basic program. Higher paying programs offer even more advanced features with customizable designs, worldwide real-time shipping rules, and tax invoicing as standouts in a whole list of additional programs. Using Selz takes the hassle and worry out of running your online store, and lets you focus on what you care about: your product quality and making a profit. Founder U, as mentioned before, has a whole host of specific online selling articles and eBooks. 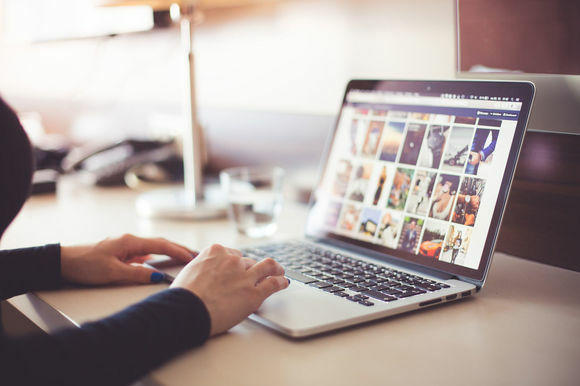 If you are having trouble getting a certain social media platform to work to your best promotional advantage there are in-depth articles to help you. Recently a series of articles zeroed in on using Pinterest and Instagram to increase views to your online store. The importance of getting your coupons and discounts out there for people to see on social media was discussed in chapter 4- and now you have another resource to use for specific social media sites. Writers of these articles are constantly looking for new and improved ways to promote online stores, so subscribe to FounderU to get all of the latest and greatest knowledge of online selling. Selz is another amazing resource, since one of their main features is one-click posting. Instead of spending an hour or two uploading your coupon and discount promotions to each and every social media account separately, use the Selz unique one-click feature to post to all of your social media sites at the same time. Imagine how much time and effort you can save for other needs in your online store with this simple feature. Another great promotional resource Selz offers is creating a store right on your Facebook page. Customers can simply go on Facebook and buy directly from your store. Easy to use for customers, easily gained pro t for you. Both of these features take some time to set up, but the early hassle is so worth the ease with which you can promote your discounts and coupons later. The features Selz helps you with just keep coming! Selz also has a built in coupon and discount maker, and software to help track your sales. Design and promote your discounts and coupons all in one place! Selz also has MailChimp, CampaignMonitor, and AWeber software to keep track of customer email lists and customer clubs. Basically the first half of Chapter 5: Customer Clubs can be managed with these three easy pieces of software that Selz provides. More promotion in the form of reviews, discussed in Chapter 4, can be managed with Yotpo Reviews or Disqus Comments. A help center and support team can answer all of your questions, and of course Founder U can lead you to even more resources to support your online store. Selz and its sister site Founder U are essential tools to moving your online store to an even higher level with higher paying customers. Having a professional, quality website with all of the features you need to sell online readily available, including the ever-important discounts and coupons can get your online store further than you ever thought possible. You have reached the end of this Definitive Guide. Now you are fully equipped with knowledge of how coupons and discounts can help your online store, what types of coupons and discounts are available to use, and how to promote all of your sales. Once you have the basics down you can start your customer clubs and coupon booklets, and you have some key strategies to keep your store fresh and full of new ideas. 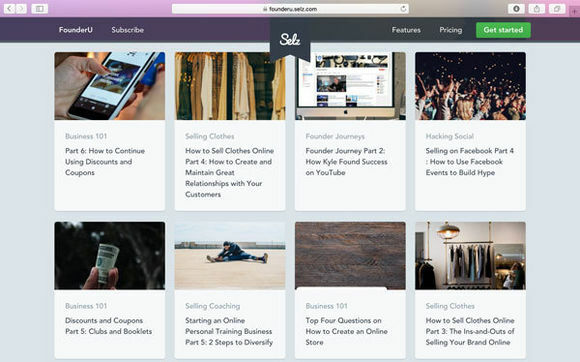 Additional resources from Selz and FounderU can keep your online selling information up to date and help run your online store. This is only the first of a series of Founders Guides, so look for upcoming Ebooks that can teach you even more about running your online store!